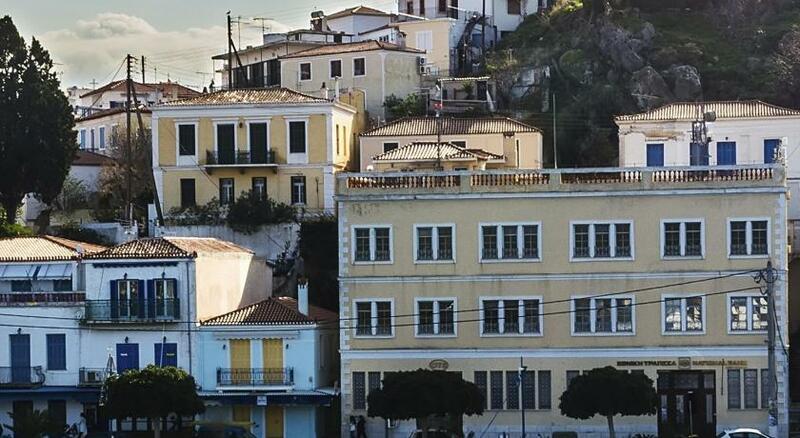 Lock in a great price for Dionysos Hotel – rated 8.5 by recent guests! The location was good, very very close to the port. Room was nice and the bed was comfortable. The room was remarkable value for money. Very convenient for everything and the staff were charming. Location, cozy feeling, traditional and neat decor. Really beautiful room with traditional style. I will go there again! Very friendly staff. Clean room. A/C and fridge in the room. Very good location. Location is excellent. People are super nice and helpful. Nice view and clean room. The main room with the bed is nicely decorated. Super location, great room with balcony and sea views. Easy ferry access to the mainland. Staff were friendly and very helpful, allowing us to keep our luggage in the office after check out and letting us use showers before we caught our boat off the island. 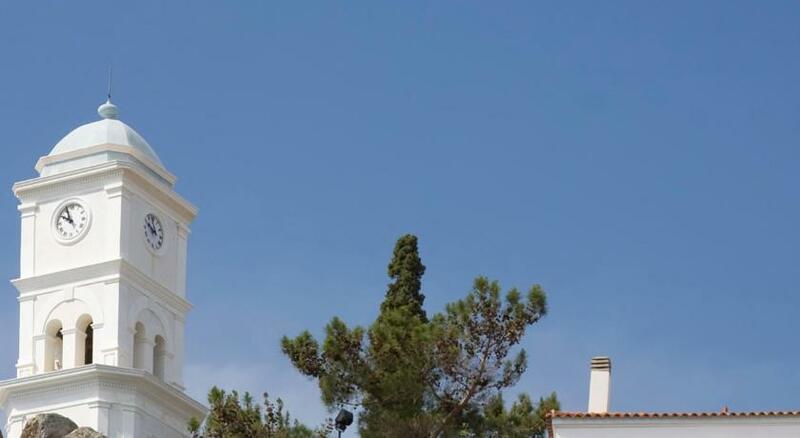 Hotel Dionysos is located right on the coastal road of Poros, facing the new port and Mount Kimomeni. The stone-built hotel offers pleasant rooms with free Wi-Fi. All of the Hotel Dionysos rooms are air conditioned and equipped with a TV and fridge. Some of them open to balconies with direct views to the sea and port. Upon request, guests can take a Continental breakfast, served at the hotel’s breakfast lounge. Next to the property, there is a cafe snack bar, for drinks and light meals. During the summer, you can enjoy your beverage or food on the backyard terrace. Bicycles, cars and motorbikes can be rented through reception. Luggage storage is also provided, and safes are available for hire. Guests are free to use the nearby public car park. 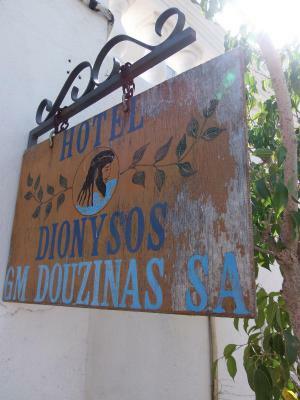 When would you like to stay at Dionysos Hotel? Spacious room with pleasant decor and tiled floors. This room has a balcony overlooking the port and the sea. This room is equipped with free WiFi, air conditioning, a fridge and TV. This room type offers ventilation and is located at the back of the property. House Rules Dionysos Hotel takes special requests – add in the next step! Dionysos Hotel accepts these cards and reserves the right to temporarily hold an amount prior to arrival. Air con wasn’t very effective and tv didn’t work. Easy going staff and helpful with advice. Only the bath that was small. Lovely hotel! Great location and beautiful room. Bathroom is very outdated and badly furnished. Busy street downstairs and very poor sound proofing. Fridge is also noisy. Balcony with plastic furniture gives a cheap feeling to a generally aristocratic building.